Transforming your outdoor living for over 30 years. A professionally designed, properly installed and maintained landscape adds beauty and function to your home. It also adds immense value and curb appeal. Your outdoor landscape can also extend and enhance your living space. When designing and installing a landscape take into consideration not only the existing landscape environment, but the surrounding architecture of your home and community plus your lifestyle needs. At East Coast Landscape Design, you are a partner in the design process. We pay close attention to your property needs and to your personal preferences during the design process. We explore your design ideas while recommending plants choices, drainage and erosion control measures, walkways and retaining walls, patios, lighting and more. Careful consideration will be given to materials selection from natural options such as wood, brick, and sandstone, to manufactured choices like recycled composite products. A successful landscape installation begins with a solid design that includes a balanced choice of plants, shrubs, and trees for your Maryland property. 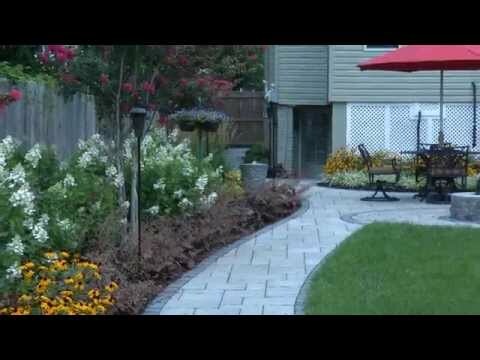 Every East Coast installation is completed with the utmost care and attention that you expect from a professional landscape company like East Coast Landscape Design. We all have spots in our yards that could use a bit more landscaping attention, and trees and shrubs just may be part of your solution. When you take a look at yard, imagine what a little facelift might do to bump your curb appeal, and how trees and shrubs can provide much more than pretty leaves and flowers. Trees provide shade, helping your home to conserve energy. Shrubs and trees provide natural habitat for native species. They can buffer your home from punishing prevailing winds, the rush of traffic on a nearby road, or the prying eyes of the nosy neighbors. Trees and shrubs create natural hedges to mark your property line, separating it from adjacent yards, and eliminating the need for more expensive, high-maintenance barriers or fences. Carefully selected and positioned, trees and shrubs can define the way you use and enjoy your land for generations to come. Choose attractive, reliable, trouble-free plants with soil and environmental needs suited to your site and resources. Soil testing and analysis is vital to determine your planting readiness. Soil amendments and fertilizers can be added during planting as instructed. fill your yard with life, and can yield fruit, nuts, flowers, and aromas to enjoy and delight. Finally, trees and shrubs give us infinite interest as our yards change from season to season, delivering natural fascination year after year. Colorful flowers, fall leaves, attractive bark, beautiful butterflies, juicy apples, and endless years of comforting companionship - trees and shrubs offer us an infinitely rich view of our world right outside our windows. When you are ready to give your property a refreshing facelift call the tree and shrub specialists at East Coast Landscape Design. 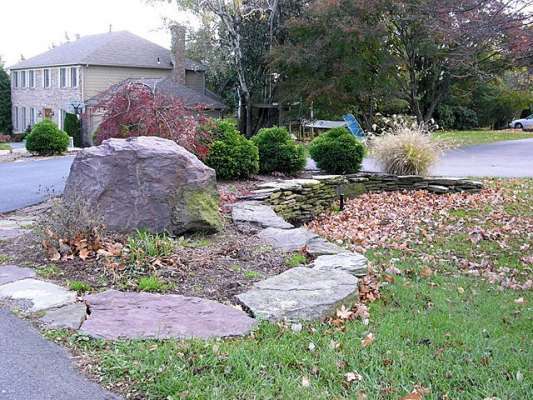 Serving satisfied clients with trees, shrubs, and a full range of landscaping and hardscaping design, installation, and care services for over thirty five years.